Stephen has Crouzon’s Syndrome and has been affiliated with CCA since 1990 and was serving on the board of CCA from 2003 until 2011. He has had 23 surgeries which includes complete reconstruction of the face as well as skull restructuring. 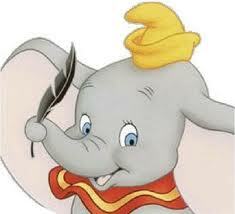 Do you remember in the movie Dumbo where the little mouse enables the elephant to fly by telling him of the powers of the magic feather? Well in my case the feather was a pair of glasses which my parents got for me when I was eight years old. Apparently there was a lot of discussion by my parents as to how sound of an idea it was to enable me to “hide” from the world behind glasses. My father thought that since I would have Crouzon's my entire life, I should have to deal with the world as it was and not try to “hide” away from it. My mother disagreed and thought the cosmetics would enable me to function better in the world. When the eye doctor pointed out that my eyes were vulnerable to being damaged physically by the wind or being hit, the discussion was over. I tested them out immediately by walking down to the corner drugstore to buy some sandwiches. I took a deep breath outside the entrance and stepped inside. The thing I noticed was that no one stared at me. They worked! I proudly walked into the third grade with my new glasses. What for most kids would have been a stigma for me became a life line. The perception that the glasses changed my appearance enabled me to function much better socially. I wore those glasses until I was 20 and they served me well.